Public Rights if way in Kent - what’s next on the plan? This Consultation Directory provides a full list of KCC's past, current and planned consultations. It will help you find the opportunities available so you can let us know what you think about the local services and policies that matter to you. From here you can look at planned, current and past consultations and look at the results of these and how they have been used to influence our decision making. There is currently a project in place, working to improve the Greensand Commons, i.e.Bitchet, Fawke and Seal Chart near Sevenoaks and Hosey, Crockhamhill and Farley, near Westerham. The project aims to rekindle interest in the Commons, improve some areas for access, and make them more appealing, improve paths and create new ones, and perhaps create better habitats for some rare species of wildlife. The project has some lottery funding, but aims eventually to be self-sustaining. There is currently consultation in progress to define what users like and dislike and what they would like to happen. Sevenoaks district Council, who manage the Commons, recently confirmed that, as a result of a recent reinterpretation of the byelaws, horse riders may use every part of the Commons and are not restricted to the bridleways. The display board signs on the Commons which have prohibited horses in the past, should soon be amended with this information and will eventually be replaced. If you have any queries, concerns or ideas about rides which would benefit from some clearance, or where circular riding routes could be made around areas of Common, please contact me, brionybunch@hotmail.com. Similarly if you are unsure about where the Commons are and whether you ride on them or not, please contact me. This is a great opportunity to create some more, much-needed off-road riding. Here is a link for anyone interested with further information, maps to locate the Commons and downloadable maps of each Common for more details of paths. 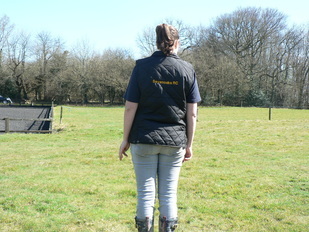 Your committee have designed and created a smart gilet with the SRC logo on the front and Sevenoaks Riding Club on the back as modelled by our long standing member Sarah Grimshaw. Only £25 each - all detail on order form - just click on button under photos for all details on how to order and pay as well as collection details. The number of confirmed equine grass sickness (EGS) cases peaks in the spring, particularly May, so we want to remind owners of grazing horses, ponies and donkeys to stay vigilant for signs of the disease. EGS is a debilitating and predominantly fatal disease that affects the nervous system that controls involuntary functions. The most severely affected body system is the gastrointestinal tract. Unfortunately, the disease has a mortality rate of more than 85% and only animals with mild signs have any chance of survival. If your horse, pony or donkey is displaying any of the clinical signs of EGS mentioned above, please contact your vet immediately. Together with the EGS Fund and the Universities of Edinburgh and Liverpool, we have developed the nationwide EGS surveillance scheme. If you have seen a case of EGS since the year 2000, please report it confidentially to us using the contact details available on our website. Any information we can gather from horse/pony/donkey owners and vets can greatly improve our understanding of the prevalence of this devastating disease within Great Britain. 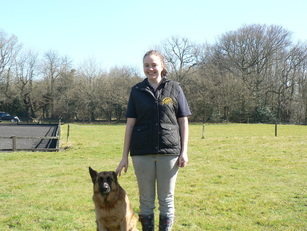 For more information about EGS, including our EGS surveillance scheme, visit www.equinegrasssickness.co.uk.